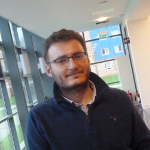 I am a lecturer (assistant professor) in Foundations of Data Science at the Data Science Institute, and the Department of Management Science, of the Lancaster University Management School, Lancaster University. My office is Room A063 in the A - Floor of the Management School Building, Lancaster University, Lancaster LA1 1YX, UK. You can email me (m.epitropakis@lancaster.ac.uk) or call me at: +44 (0)1524 595116. I obtained my PhD in 2013 from University of Patras, Greece, where I was working in the CILab research group under the supervision of Prof. Michael N. Vrahatis. Before this, I studied Mathematics at the University of Patras, Greece with a specialization on Computational Mathematics and Informatics, and got my MSc in Mathematics of Computation and Decision Making, from the interdepartmental postgraduate program of the Department of Mathematics in collaboration with the Department of Computer Science and Computer Engineering of the University of Patras, Greece. Research objective: I would like to understand the intelligent stochastic search procedures in continuous and/or discrete, high-dimensional search spaces. I am currently either improving known methodologies or developing new ones. I find remarkable and very exciting the power of evolutionary computation methodologies which can successfully solve hard real-world problems. I hope this web page helps you find whatever you are looking for regarding my work. Please, feel free to contact me with any inquiries or thoughts about my work.